New design, powered by solar energy. *Lighting modes of glimmering : Dual Mode: flash and steady on. *environment-friendly products, high energy conversion rate. 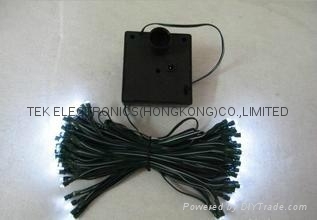 *Solar powered panel with rechargeable batteries installed. 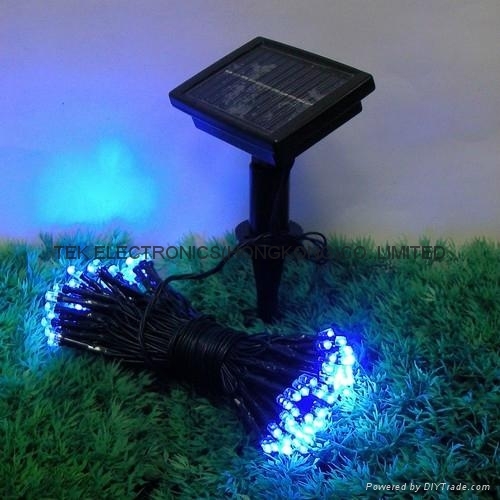 *It can be placed in any location where the solar panel gets exposed to the sun during the day. *The lamp is to work 8-12 hours at night after fully charged during the day. 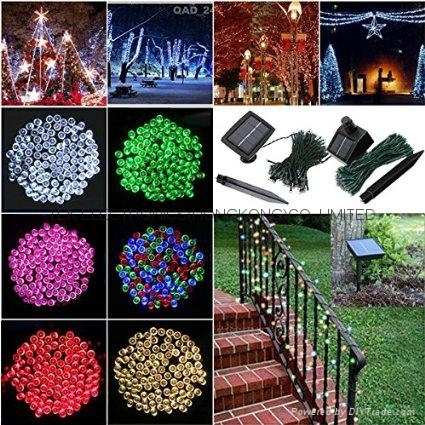 Perfectly suitable for outdoor and indoor use; Create great atmosphere; wide application, such as on wall, window, door, floor, ceiling, grass, Christmas tree, post or building etc. * An amazing decoration for Christmas, Party, Wedding, Valentine's Day, guarden; advertisement board etc. *Working mode: Flash /steady on. *New design, powered by solar energy. *Sealed process, with good waterproof performance. *2 different modes of glimmering : flash and steady on. *The lamp is to work 8 hours at night after fully charged during the day.